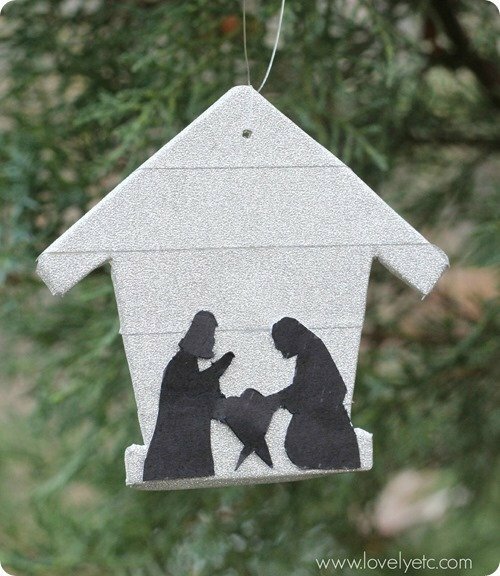 DIY Nativity Ornament - Lovely Etc. Sometimes I can’t stop myself. So before, I get to today’s ornament, I do have an announcement. 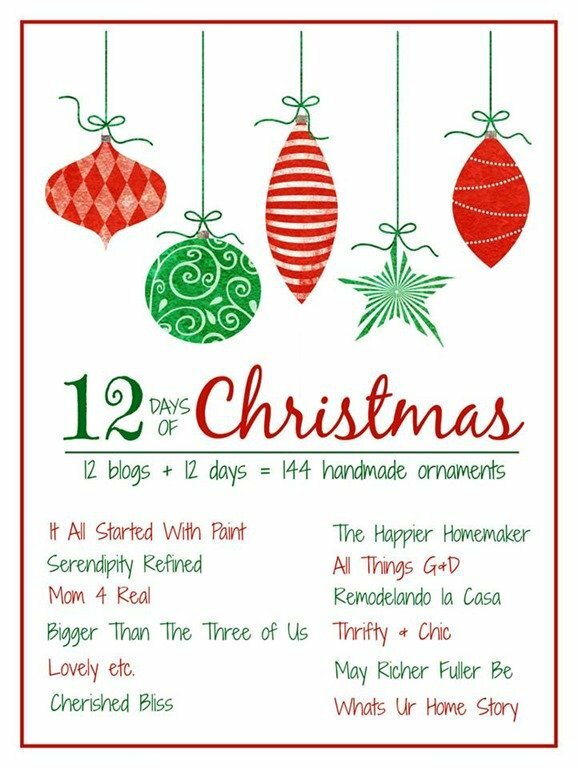 You too can be a part of the 12 Days of Christmas! If any of you have been scoping out all the handmade ornaments we have shared so far, thinking about your own handmade creations and how you would love the chance to show them off…you can! But in the meantime, I have another awesome ornament to share today. I knew from the get-go that I wanted at least one of my ornaments to say something about the true meaning of Christmas. I just wasn’t exactly sure how until I was doing a bit of shopping at Michael’s. I came across this little wooden birdhouse for only 29 cents and I just knew it was destined to become a stable. 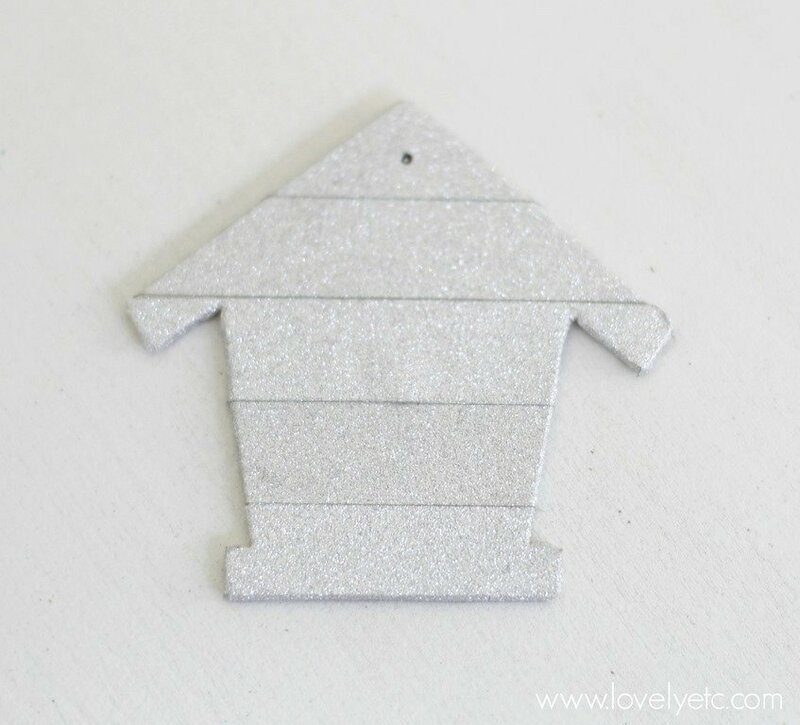 I covered the whole birdhouse with silvery glitter washi tape. 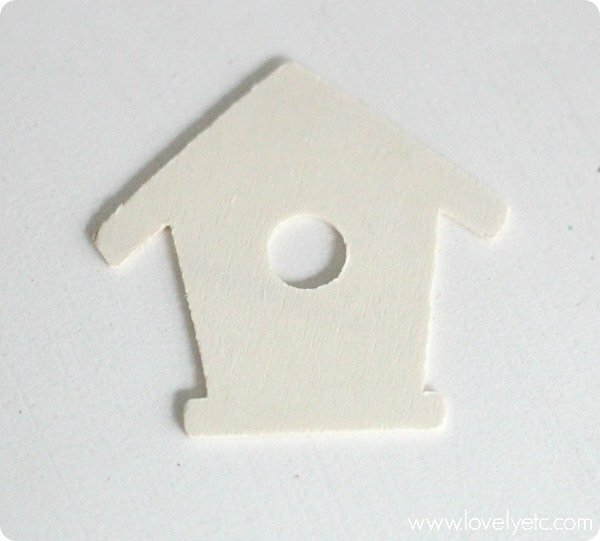 (Glittery scrapbook paper and glue would work just fine too.) And I used a hammer and a small nail to make a hole at the top for hanging. It was already looking amazing at this point! For the silhouette, I printed out a simple black nativity silhouette and then carefully cut around it with a small craft knife. Now it was really looking great…but it was definitely missing something. There had to be a star. I knew I wanted a shiny gold star. 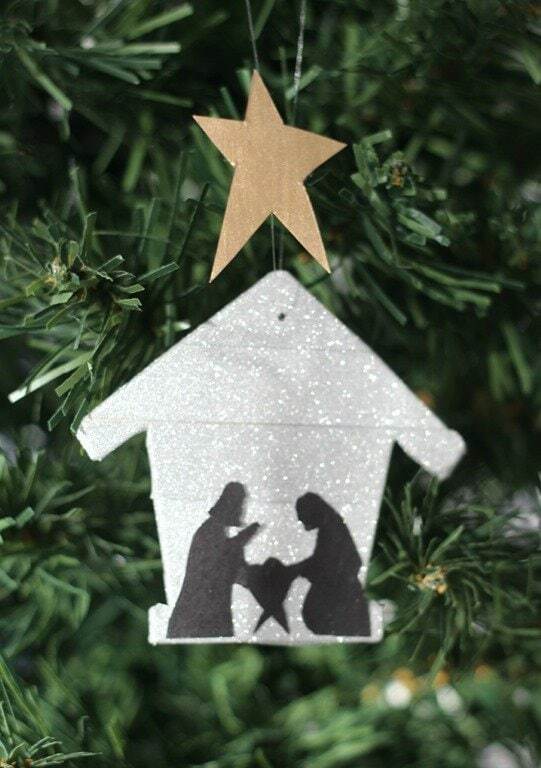 The simplest way would have been to cut a star from shiny gold card stock…but I didn’t have any. But I did have the liquid gold leaf I used for my gold silhouette ornament. So I simply liquid leafed some card stock. Once it was dry, I cut out my star! I chose to hang this ornament using fishing line and I attached the star to the fishing line with clear tape. I love how it appears to hover above the stable. 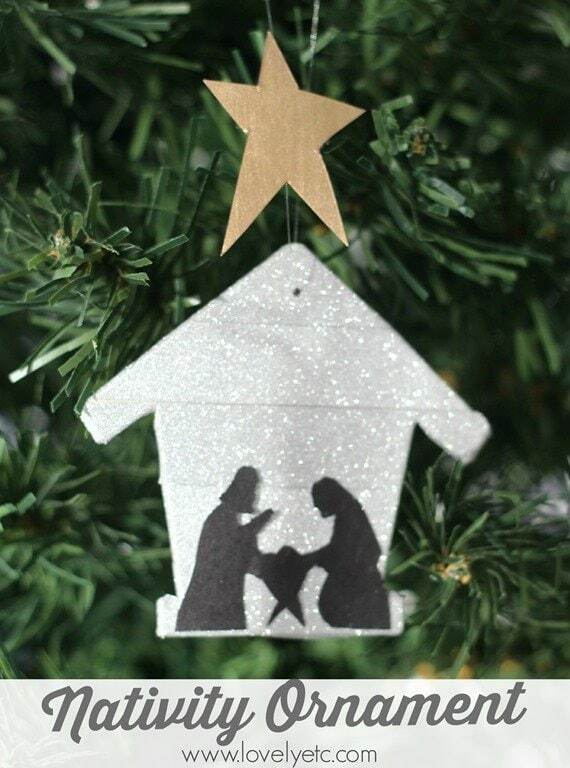 And now I have the perfect little ornament to show the real meaning of Christmas! 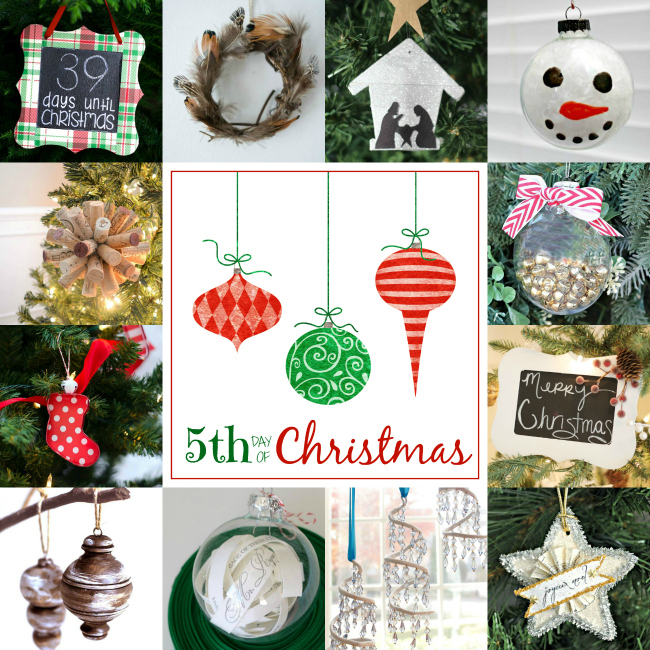 And I also have 11 more ornaments for your viewing pleasure! Some of the materials used in this project were purchased using a gift card provided by Michael’s. I love that you included a real meaning of Christmas ornament! Such a special idea! And glittery washi tape here I come! Thanks Linda! And glittery washi tape is amazing – I think I need to get some gold too!